The software accurately measures the distance between the coordinates of each terminal and the workpiece edges, while compensating for workpiece tilt. 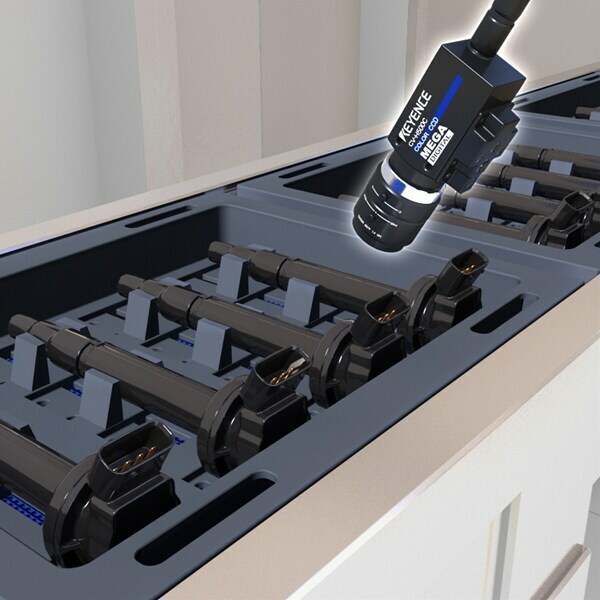 The Trend Edge Position tool of the XG Series measures multiple edge positions in one inspection, reducing the time spent entering settings. The inspection method previously used consisted of designating regions above and below the terminals, and using simple image sensors to check for the presence of terminals in those regions. While the method was successful in detecting significantly bent terminals that entered the check region, it couldn't check the pin alignment with precision. Using machine vision equipment that can detect multiple points makes it possible to do high precision inspections of bent terminals.